Each week, if a child in the class has read at home to an adult at least 3 times, their name will be put into a box. A name is pulled out and if selected they are our Reader of the Week. 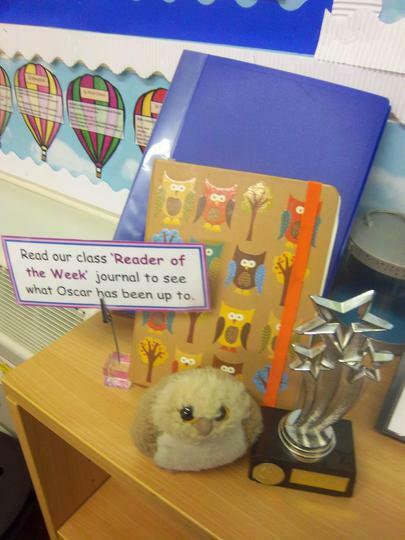 They then get to take a trophy, Oscar the Owl and a diary home for the week. They can write about what they have been getting up to with Oscar.